It was essentially a Chevy II with some unique trim. The engine / transmission options were the same as the Chevy. This is a rare convertible. 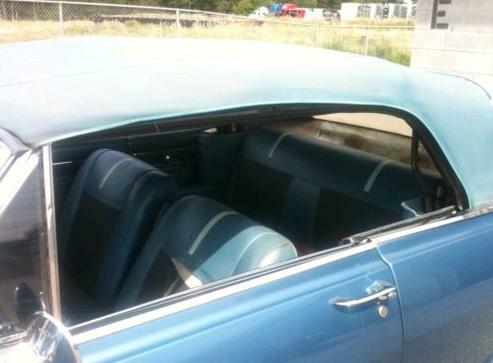 The seller says just 1500 were produced in 1962. This is a partially restored car. It's been repainted and the floors have been replaced. It has a rebuilt engine (a Chevy straight 6). It has a Powerglide automatic transmission. Based on the picture, it looks like there might be a rip in the seat upholstery. I suspect that there are very few of these left in Canada. There are probably next to none in the US. 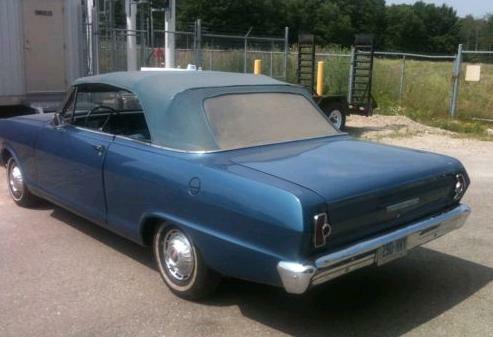 If you're looking for a cool piece of North American automotive history, this would be a good car to check out. Located in Guelph, ON, Canada, click here to see the eBay listing. Footnote: In 1964 started using the Beaumont name on a on a Chevelle based car. 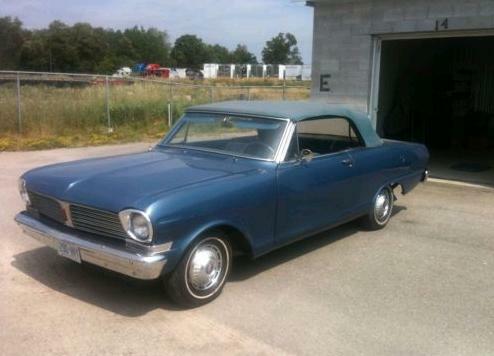 The original Chevy II / Nova based Beaumont became the Canso. Both versions were available as "Sport Deluxe" (or "SD") models, which were the equivalent of the Chevy SS cars. The Acadian and Beaumont were available in "Sport Deluxe" trim, not Super Deluxe. From 1968 on the Acadians were SS's, same as the Nova. You are correct. My mistake. Changes have been made. Sorry, but the name of my country is Chile, and the Acadian cars were built in the city of Arica, and were not called Arica, but retained their original modelnames. Wow. I should have double checked my info. Viva Chile!, you are correct. I have a couple of book that I'll reference some of the info I print. In this case they were wrong. I'll blame the misspelling of the country on spell-check. Thank you for the corrections. I like your site and this is a nice piece!